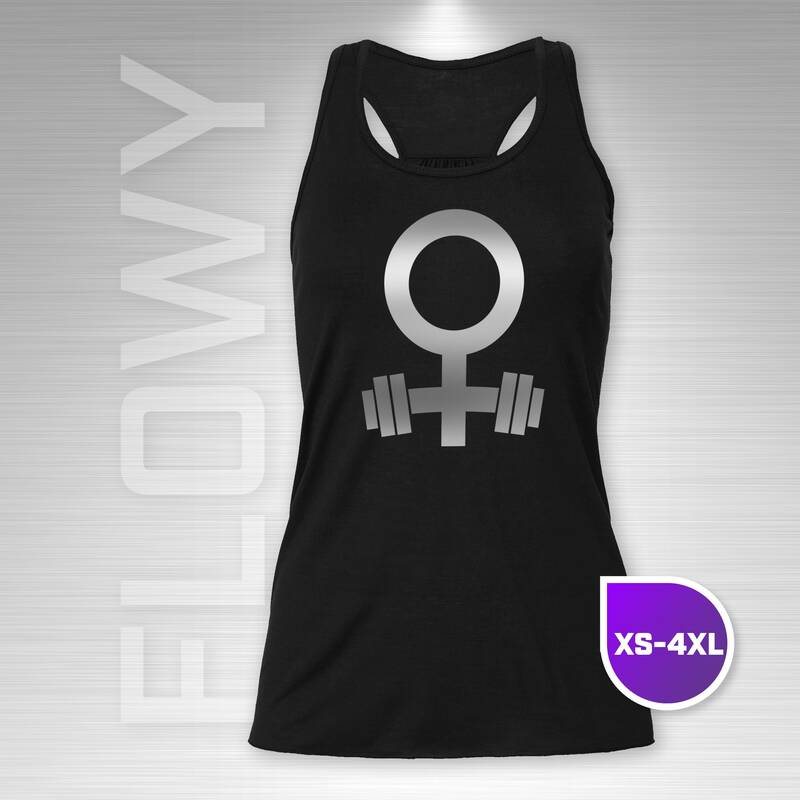 This exclusive Fit Fizz™ design represents the traditional symbol for female/woman plus a barbell. 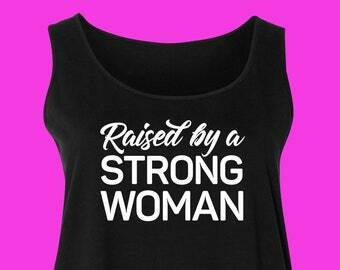 It represents a strong woman, women who strength train or any other personal meaning that you might connect to it. 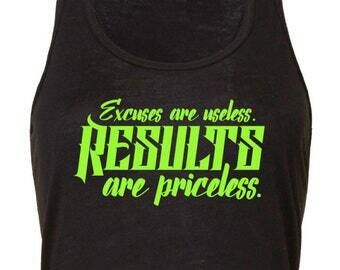 - Women's racer back tank. - 65% polyester / 35% viscose. - This brand of shirt is Bella (bellacanvas.com), and they call it the "flowy" style. - It is cut in a flattering draped silhouette, round neck and racerback. - Designs on each shirt are made by hand from a die-cut vinyl heat transfer. - Machine wash, inside out. Tumble dry, low. - please take a moment to read our store policies before placing your order. Great product and quality, shipped quickly and gift recipient loved it! Kelly is amazing! I purchased one of these shirts for my fiancé about 2 years ago and he ripped a small hole in the shirt at the gym on accident recently. I reached out to Kelly and even though this style was not available in the shop anymore, she did a custom order for me so that I could replace it. The shirt itself is very soft and the first one held up for 2 years being worn and washed at least once a week! My boyfriend loved it. He’s a peanut butter addict and this thoughtful gift made his day. Kelly was very quick to respond and update correct address for shipping as I initially gave an incorrect address. This spoon arrived in beautiful packaging with a lovely message. Good quality and finish. I'd be more than happy to use your custom message on any listings that show customization options. Be sure to read the ITEM DESCRIPTION in the listing for further details on what you need to know for customizing each product. No. I'm motivated to stay focused on FitFizz as a brand itself, so I hope you'll still come along for the ride while continue to concoct many new and unique items. If you're interested in other branding items or graphic design services, please visit my other business and Etsy shop: VividFizz.com and Etsy.com/shop/vividfizz. If you're ordering more 10 identical items, production time may vary. It depends on my current work load and schedule. Please contact me prior to placing a large order of items that are hand-stamped to ensure we are both happy with the amount of time it might take for production. Of course, I always aim to get things done as quickly as possible, but being a small shop I'm not yet able to carry large quantities of supplies in my studio. 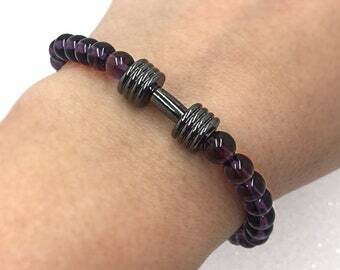 Jewelry will be sent in a black gift box as well as the outer shipping mailer. All packages are trackable through the Etsy system. Once an item appears as "delivered" but there is some sort of issue, please contact me and I will do the best I can to help you. I expect that all buyers have read through all the details under each item they purchase. Care instructions are simple. Metal does scratch or even break if treated roughly. Heat transfer vinyl can be damaged with rough usage. 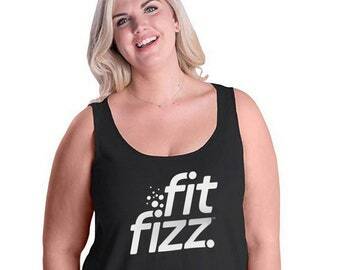 FitFizz does not accept returns on items that were damaged because of rough usage. Can I eat with these spoons? Yes! Letters may appear darkened in the photos due to high-contrast lighting for the purpose of showing you the message on these highly-reflective pieces. They are NOT actually filled in with any dark ink or paint. You can enjoy these spoons without ever having to worry if you're ingesting something toxic. As a nutrition coach who has also endured autoimmune conditions, I'm hyper-aware of the damage that non-food chemicals can do to the body over time. No "permanent" paint or ink on a spoon can truly hold up over many uses without ingesting it, so my spoons are bare stainless steel. I want you and your loved ones to be healthy and I'm sure you do too! Do you have other charms? I do and I'm working to get them added to the shop just as soon as possible. In order to focus on that first, I am not taking custom requests for charms at this time. If you'd like to order more than 10 identical items, please send me a message and we'll discuss options. Exact dimension are written in the ITEM DESCRIPTION under each listing. 1. You forgot to update your shipping address and the order was already shipped to an old address. 2. You made a typographical error when ordering a custom stamped order—Proofread! 3. If you left special instructions which were unclear or ambiguous, I will try to contact you. If I don't get a reply by your shipping date I will take my best guess at what you meant in order to ship on time. If my interpretation is not what you meant and you failed to return communication, FitFizz is not responsible for replacing that item. PLEASE check your messages and leave notifications on in case I have a question. Any of the above will not receive compensation. These things are YOUR responsibility.